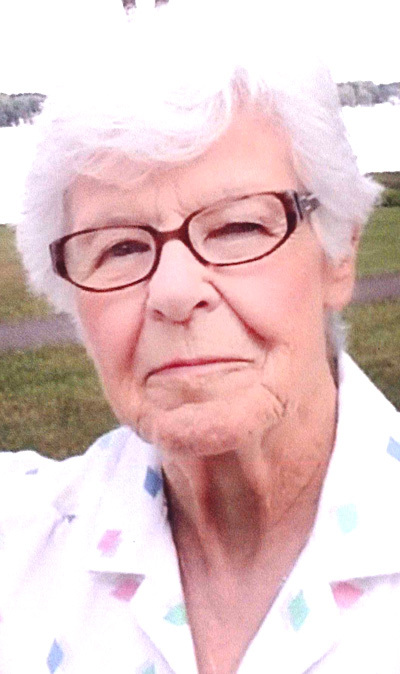 SALEM–Luella “Lou” M. (Stack) Byler, 84, of Salem, peacefully passed away at her home Saturday morning, Dec. 22, 2018. She was born Sept. 4, 1934, in Canfield, Ohio, the daughter of the late Stephen and Hazel (Davis) Stack. A life-long area resident, she graduated from Canfield High School in 1953 and attended the nursing program at Mount Union. Lou was a home maker and had various employment during her life time, she was in charge of the sales at the barn and fruit grader for Huffman Fruit Farm, a baker and candy maker at the former Calico Kitchen, a retail sales clerk at two women’s boutiques and a seamstress for a drapery company. She enjoyed sewing, baking, reading, making puzzles and spending time with her grandchildren and friends. She attended Locust Grove Baptist Church, where she held many offices over the years, most recently as a Deaconess. Although her favorite position was the Choir Director for many years. She is survived by her son, Gene (Tracey); and three “Angels” grandchildren, Matthew, Laura and Carissa. She is also survived by a brother Glenn (Dene) Stack, sister Shirley Tanner, sisters-in-law Mary Ann Stack, Beatrice Stack and Barbara Stack and numerous nieces and nephews and many friends. Besides her parents, she was preceded in death by her husband, Joseph E., whom she married Jan. 2, 1956; a daughter, Delene L (Byler) Wilkinson; brothers, Charles, Herman, Donald and Howard Stack; and sisters, Pearl Elizabeth “Betty” McGuire and Delores Possey. Family and Friends may call from 5 to 8 p.m. Friday at the Lane Family Funeral Home, Canfield Chapel and 10 to 11 a.m. Saturday at Locust Grove Baptist Church. Funeral services will be 11 a.m. at Locust Grove Baptist Church with the Rev. Robert Noble officiating. Burial will be at church’s cemetery. Memorial contributions may be made to the American Heart Association or Locust Grove Baptist Church, 12015 Washingtonville Road, Salem, Ohio 44460.